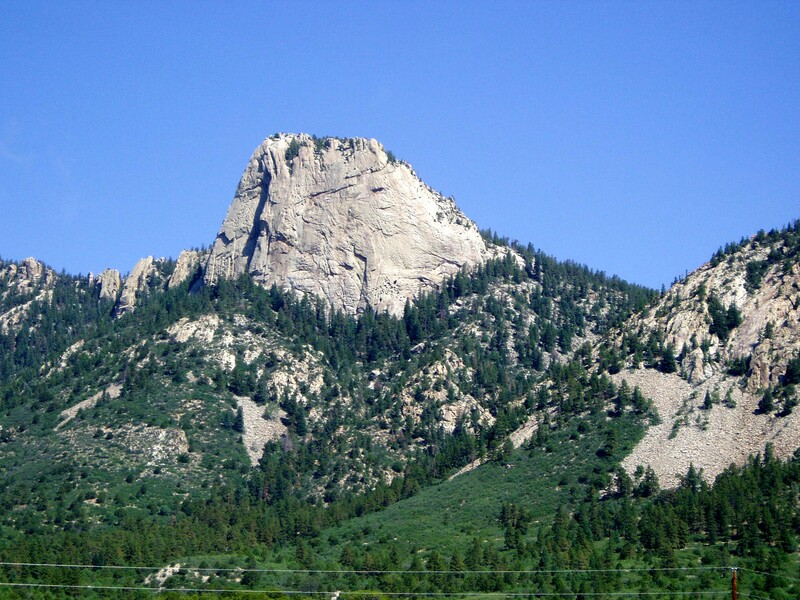 Philmont’s most famous landmark, the Tooth of Time. When I started getting in shape to go to Philmont, I really didn’t know what I was doing. I decided that I could lose weight if I started running … something I had never been serious about. I had run track in high school — but I mean that in the loosest possible sense. I ran, I was in high school. I was pitiful. The only team point I ever scored was when I finished 5th in a 5 man race. I ran the 2 mile. No idea what my times were … who would keep track of such a thing? The stop watches were already off when I finished. Every time. 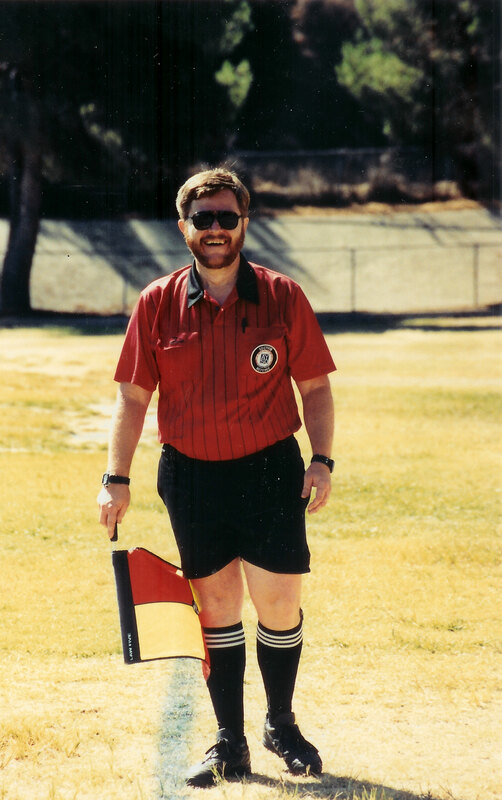 Move forward many years, and Velda volunteered me to be a referee for Christopher’s soccer team, a part of the AYSO program. (Many referees begin this way!) I told myself that it was my exercise program … and it was better than nothing. But it did not lead to healthier lifestyle choices, and I remained overweight. I could run as fast as a 9 year old dribbling the ball, though, so I was OK. This would have been 1992. Ten years later, I was a better, faster referee, but I still needed to shed 60 pounds. When I first hit the road to begin running … I couldn’t run a mile. Long before then, I was a wheezing mess. I kept at it, though, in my sweats and my Reebok cross trainers … and kept at it. I actually ran enough miles in those Reeboks that I wore the soles of the shoes away to a severe angle (come to find out, I’m an underpronator. Who knew?). When I finally bought new shoes, I found I could not even walk without pain, as my tendons wouldn’t let the soles of my feet land flat as I ran anymore. Oops. Back to walking. And then I was a fitness runner. As I got more serious about my running, I got more serious about my gear, eventually switching to good shoes, a GPS system, and (perhaps most importantly) a simple spreadsheet log of what I had done. I began to keep a daily record of my runs after I was well into my fitness program; in February ’03 I was able to do 10 minute miles for 3 mile runs on a good day (on a bad day, not so much). I split the longer runs into shorter intervals, and kept track of my time for every interval. I didn’t have that in high school … now, I became obsessed with it. I believe that this daily ritual is the most important reason that my running succeeded: I always knew how fast I was running, and I wouldn’t let myself slow down. I pushed. I was in a race with myself, and I celebrated every time I broke my record for an interval by coloring that square in my spreadsheet a special color! Silly, but it worked. I focused on turning the spreadsheet green, one interval at a time, one day at a time. On my last run before Philmont, I did my 3 miles with an average mile pace of 9:51, my best yet. My weight? Back to what it was in college. Philmont was GREAT … my life was GREAT. I felt better than I had in years. And suddenly … I had achieved my goal — and didn’t have another. That just wouldn’t do. It was about then that I talked to a great lady, Linda Johnson. Linda was a serious runner — she was doing 9 miles as a daily run. Linda worked with me as a sales rep, and she taught me the value of multiplication. Linda asked what I was running, and I told her I was doing 3 miles most days. She said great, if you can run 3 miles, you can run 6 miles (and I could!). And if I could run 6 miles, Linda said I could run 12, and that’s almost a half marathon. And if I could run a half marathon, she proudly said, I could run a marathon. Remember where I started: I could not run a mile. And here I was a year later, with a real runner telling me that I could do a marathon. Unbelievable. 2. Keep track of your progress versus that goal. 3. Celebrate your progress towards your goal. January 18, 2004. 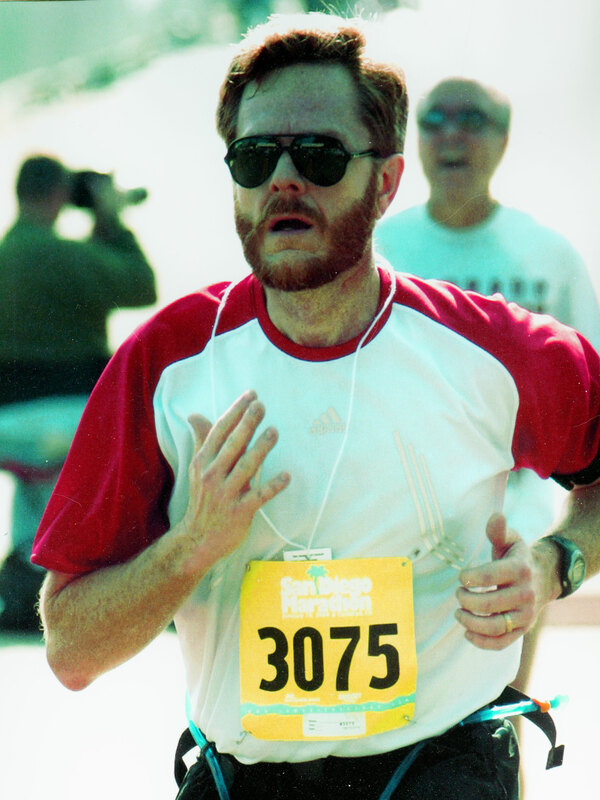 San Diego Marathon, now called the Carlsbad Marathon. 26.2 beautiful Southern California miles!